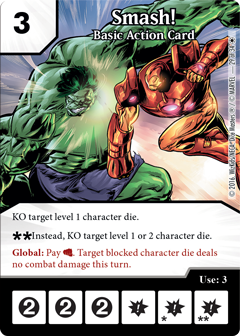 While the heroes tend to take much of the attention in Dice Masters, the Basic Action cards are certainly a big part of the game as well and can be an integral part of your strategy for winning. 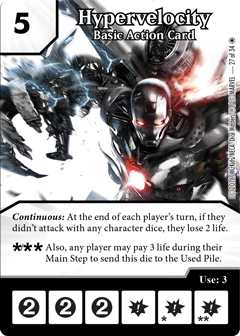 In this preview, we get a look at 3 of the Basic Action cards coming in the Iron Man and War Machine set. Dice Masters Fans! 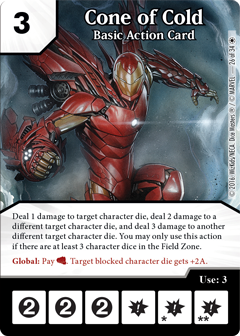 The Marvel Dice Masters: Iron Man and War Machine Starter Set is coming soon, and we’ve got some exciting previews of what cards you’ll see! Today we’ll be showing off three Basic Action Cards.